Dr. Karl Boellert is a board-certified and fellowship-trained specialist in Physical Medicine and Rehabilitation at South Carolina Spine Center in Greenwood. Within his role at the spine center, Dr. Boellert specializes in helping patients with back and neck pain resolve symptoms through non-surgical spine treatment options. He completed fellowship training in Interventional Spine & Musculoskeletal Medicine at Ahwatukee Sports & Spine in Phoenix, AZ. Dr. Boellert’s focus of care is interventional pain medicine, including the assessment, diagnosis and non-surgical treatment of back and neck pain problems. Dr. Boellert is proficient in pain-relieving cervical, thoracic, & lumbar epidural injections, facet injections, medial branch blocks, and radiofrequency ablation as well as sacroiliac joint injections. He is also trained in EMG / nerve conduction studies and Musculoskeletal / Orthopedic Rehabilitation. Dr. Boellert earned his Bachelor’s degree at Tulane University in New Orleans and attended medical school at St. George’s University School of Medicine in Grenada, West Indies. He completed his internship and residency in the Physical Medicine & Rehabilitation Residency Program at Washington University School of Medicine in St. Louis, MO. He then pursued fellowship training in Interventional Spine & Musculoskeletal Medicine at Ahwatukee Sports & Spine in Phoenix. 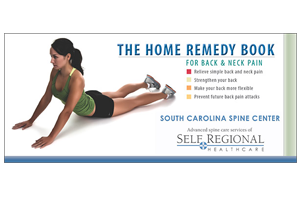 If non-surgical spine treatment, such as injection therapy and physical therapy, do not provide lasting relief of symptoms, South Carolina Spine Center includes three fellowship-trained spine neurosurgeons with specialty in minimally invasive spine surgery techniques. 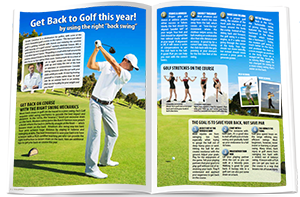 Dr. Mathew Gowans is a specialist in the non-surgical treatment of back and neck pain. He joined the staff of South Carolina Spine Center in mid 2015. He is a member of the Self Regional Healthcare medical staff. Dr. Gowans received his bachelor’s degree from the University of South Carolina in Columbia, S.C. and his medical degree from the Medical University of South Carolina in Charleston, S.C. He then went on to complete his residency in Physical Medicine and Rehabilitation at East Carolina University Brody School of Medicine in Greenville, N.C.
As South Carolina Spine Center, Dr. Gowan specializes in the diagnosis of back pain and neck pain, and helps patients explore non-surgical treatment options. This can include therapy that relieves pain symptoms, and makes the back stronger, more flexible and resistant to future strain. 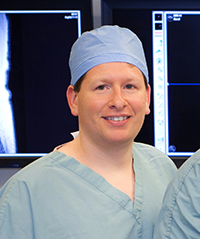 Dr. Gowan works closely with Dr. Boellert related to spinal injections, and the spine neurosurgery team. Dr. Gowans is a member of the American Academy of Physical Medicine and Rehabilitation. In his spare time he enjoys sailing, mountain biking, trail running, hiking, playing chess and spending time with his family. Dr. Greg McLoughlin is a fellowship-trained spinal neurosurgeon at South Carolina Spine Center, who specializes in complex spine surgery, cervical disorders, degenerative spine, spinal deformities, trauma, tumor infection and minimally invasive spine surgery. He is also proficient in endoscopic spine surgery techniques. He is a member of the Self Regional Healthcare medical staff. Dr. McLoughlin graduated medical school and completed his residency from University of Saskatchewan College of Medicine. 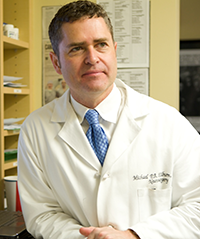 Dr. McLoughlin completed a fellowship in neurosurgery at Johns Hopkins University. He is also a Fellow of The Royal College of Physicians and Surgeons of Canada-Neurosurgery. Dr. McLoughlin is a member of the Canadian Medical Society, Saskatchewan Medical Association, Congress of Neurological Surgeons, American Association of Neurological Surgeons, South Carolina Spine Society, and the Royal College of Physicians & Surgeons of Canada. In his spare time he enjoys cooking different types of food (French, Cajun, etc. ), traveling, and spending time with his wife and son. 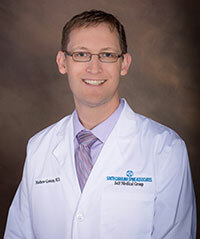 Dr. Michael Kilburn is a board-certified and fellowship-trained spinal neurosurgeon at South Carolina Spine Center, who specializes in complex spine surgery, cervical disorders, degenerative spine, spinal deformities, trauma, tumor infection and minimally invasive spine surgery. He is also proficient in endoscopic spine surgery techniques. He is a member of the Self Regional Healthcare medical staff. Dr. Kilburn graduated medical school from University of Saskatchewan College of Medicine and later completed his residency at Royal University Hospital. 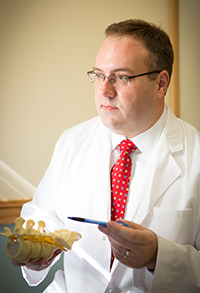 Dr. Kilburn completed a fellowship in neurosurgery at University of Alabama. He is also a Fellow of The Royal College of Physicians and Surgeons of Canada-Neurosurgery. Dr. Kilburn is a member of the American Association of Neurological Surgeons, Congress of Neurological Surgeons, Royal College of Physicians & Surgeons of Canada, AANS Spine and Peripheral Nerve Section, and the Canadian Neurosurgical Society. In his spare time Dr. Kilburn enjoys white water canoeing, golf, traveling around the globe with his wife of 25 years, and spending time with his three daughters. 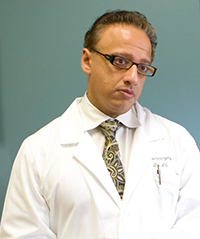 Dr. Sumeer Lal is a board-certified spinal neurosurgeon with 20 years of experience, who specializes in complex spine surgery, cervical disorders, degenerative spine, spinal deformities, trauma, tumor infection and minimally invasive spine surgery. He is a member of the Self Regional Healthcare medical staff. Dr. Lal received his medical degree from the University of Saskatchewan in Canada. He then went on to complete his neurosurgical residency at Royal University Hospital in Canada. Dr. Lal also completed a Masters of Surgery Program at University of Saskatchewan in Canada. He later completed a Neuro-oncolgical Fellowship at the MD Anderson Cancer Center in Houston, Texas. He is also a Fellow of The Royal College of Physicians and Surgeons of Canada-Neurosurgery. Dr. Lal has served as the Director of Clinical Update for Physicians for Self Regional Hospital. He is still the Director of the Spine Center at Self Regional Hospital. Dr. Sumeer Lal’s awards include Physician of the Quarter Self Regional Hospital, ranked #1 Spine Program in South Carolina by Health Grades and ranked #1 as individual spinal surgeon by Health Grades in 2008, #1 ranking for spinal fusion by Carechex in 2011, and a Top 100 Surgeons Designation by the Consumer Research Council of America. Dr. Lal is a member of the American Association of Neurological Surgeons, Congress of Neurological Surgeons, and the Royal College of Physicians & Surgeons of Canada. In his spare time he enjoys traveling, working out at the gym, reading American history, and spending time with his family.